Admission is free and the benefits are endless! 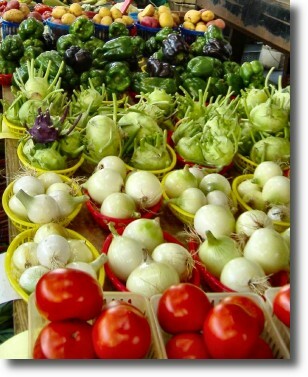 Davie County Farmers Markets each Wednesday, Friday and Saturday in the towns of Mocksville, Bermuda Run and Farmington. There is a market open each Wednesday, Friday and Saturday according to the following schedule. Fridays – Town of Bermuda Run: The Peachtree Farmers Market is open Fridays from 3:30-7 PM in the parking lot at Wake Forest Baptist Health Davie Medical Center in the Town of Bermuda Run. Everyone benefits when dollars stay in the local community. The farmers are supported and can continue to grow their crops, and the money spent stays in the community rather than being shipped elsewhere. This helps the local economy thrive. For even more ways to save while supporting your friends and neighbors please check out iShopDavie, an exciting and rewarding program from your Davie County Chamber of Commerce.